Since her death in 2003, Nina Simone has continued to be revered as a cultural icon and role model for scores of fans and fellow musicians. Much of her fame derives from her association with the civil rights movement, for which she wrote such classic songs as ‘Mississippi Goddam’, ‘Four Women’ and ‘Young, Gifted and Black’. The defiance and affirmation of such anthems was accompanied by an equal dedication to songs of melancholy, yearning and spiritual questing. 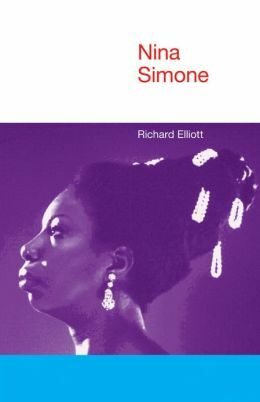 Placing Simone and her music firmly within the socio-historical context of the 1960s, this book also argues for the importance of considering the artist’s entire career and for paying greater attention to her music than is often the case in biographical accounts. Simone defied musical categories even as she fought against social ones and the result is a body of work that draws upon classical and jazz music, country blues, French chanson, gospel, protest songs, pop and rock tunes, turning genres and styles inside out in pursuit of what Simone called “black classical music”. The book begins with a focus on the early part of Simone’s career and a discussion of genre and style. Connecting its analysis to a discussion of social categorization (with particular regard to race), it argues that Simone’s defiance of stylistic boundaries can be seen as a political act. From here, the focus shifts to Simone’s self-written protest material, connecting it to her increasing involvement in the struggle for civil rights. The book also provides an in-depth account of Simone’s ‘possession’ of material by writers such as Leonard Cohen, Bob Dylan, Sandy Denny and Judy Collins, while exploring the relationship between the personal and the political. In considering material from the Simone’s lesser-known work from the 1970s to the 1990s, the study proposes a theory of the “late voice” in which issues of age, experience and memory are emphasised. The book concludes with a discussion of Simone’s ongoing legacy. There is a blog (So Transported) to accompany the book and featuring excerpts and additional material.